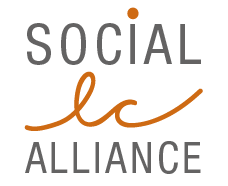 The main task for the SLC Alliance is at present to conduct a revision of the Guidelines for Social Life Cycle Assessment (S-LCA) of products (SLCA Guidelines). Since the publication in 2009, the interest in social impact assessment of products and companies has dramatically increased. While the SLCA Guidelines and the methodological sheets have played a decisive role initiating the practice of Social Life Cycle Assessment, the landscape has greatly evolved since. We have seen the publication of several handbooks and the proliferation of case studies and implementations. Databases for Social LCA were made available and applied, while impact assessment methods were created and tested. The main reference still remains the SLCA Guidelines but it is evident that a revision is necessary to incorporate new methods, experiences and to better guide the users wishing to perform a Social LCA.